On Episode 24 of Crosshairs Radio, Scott, David and Bill get together for the second annual They Don’t Do That In Europe awards show. We hand out the TDDTIE trophies in seven different categories covering the good, the bad and the muddy from the 2015-2016 cyclocross season. From the feeding controversy at the first UCI race in Rochester, New York, to the dramatic conclusion to the men’s elite race at the World Championship, this season has been chock full of excitement. 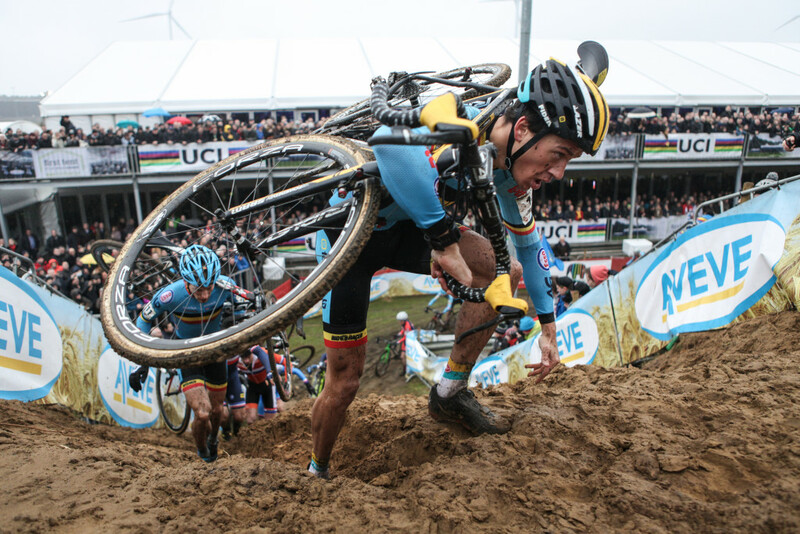 Throw in Sven Nys’ last year, a dominant performance by Wout van Aert, the late arrival of Mathieu van der Poel, the flawless season followed by another heartbreak at Worlds for Sanne Cant, and the state of cyclocross is strong. We break down our favorite moments and stand out performances in this one hour season wrap-up show. Please subscribe to Crosshairs Radio on iTunes, if that’s how you consume podcasts. Also, rate and review on iTunes, even if it’s not the way you consume podcasts.You can follow the show on Twitter at @crosshairsradio. You can follow me, @cxhairs, on Instagram and Twitter. Thanks for listening.